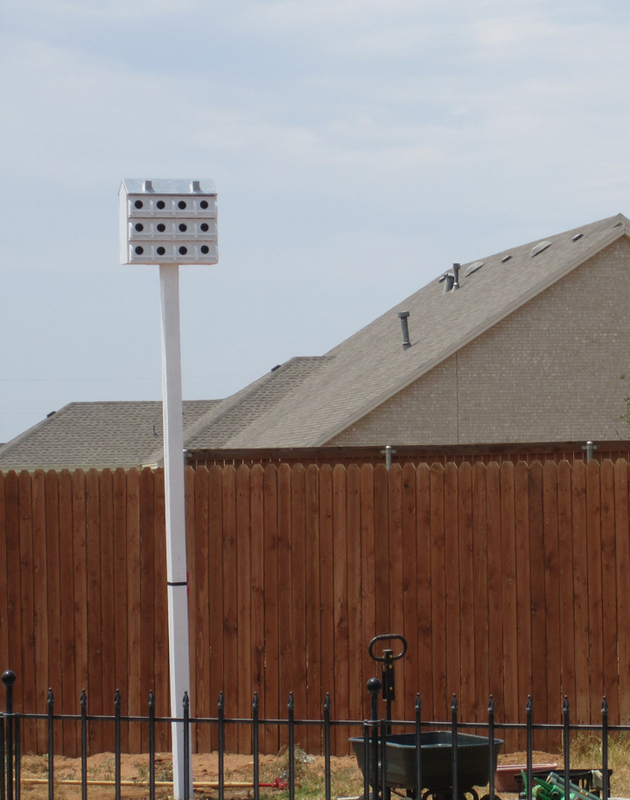 I've seen Purple Martin house at many homes in Lubbock. So I am giving a try at attracting them to the backyard. I know they arrive each spring and spend their summers here. I erected them a summer house. My friends here tell me that they send scouts who arrive in February-March. Depending on the weather - should arrive mid February thru March here in Lubbock. "Purple Martins are aerial insectivores that do most of their feeding at 100–200 feet above the ground. Their diet is almost 100 percent flying insects, and they opportunistically feed on flying ants, beetles, butterflies, cicadas, damselflies, dragonflies, (drone) bees, flies, grasshoppers, hoverflies, katydids, mayflies, midges, mosquitoes, moths, stinkbugs and wasps. Many martin "landlords" mistakenly believe that Purple Martins devour large quantities of mosquitoes. Actually, no scientific study has ever shown mosquitoes to comprise more than 3 percent of the Purple Martin’s diet. Most mosquito species are simply not available for Purple Martin consumption due to their nocturnal and low-flying habits. Ordered a Purple Martin house, painted it and erected it on a 12 ft 4x4.